We offer 6 distinct martial art programs. Click on the links below for more information about each art. 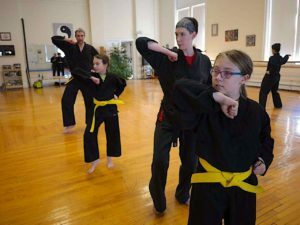 Our Youth Martial Arts program fosters respect, cooperation and communication. Our classes are highly supervised and structured, yet encourage personal expression and creativity. Learn more about our American Karate for Children. Yang Style T’ai Chi Ch’uan in the T.T. Liang lineage is an internal martial art (martial qigong) that develops health, root, balance, and more. Learn more about our T’ai Chi Ch’uan. Modern Arnis is a Filipino jiujitsu and weapons art developed by the late Professor Presas that focuses on advanced skills and self defense. 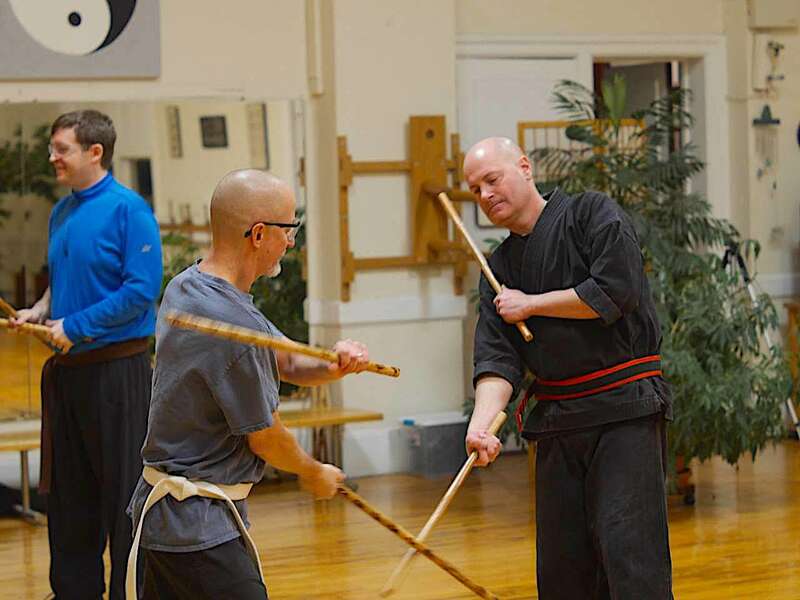 Learn more about our Modern Arnis. Bagua Zhang is an internal martial art (martial qigong) for health and self defense which specializes in circular movement. This is an advanced program–please contact Sifu Roy or Sensei Chaisson about pre-requisites. Learn more about our Bagua Zhang. Qigong is a series of solo internal energy (Qi or Chi) exercises, forms, and two person Qi sensitivity exercises, designed for health and vitality. Qigong is taught in the T’ai Chi Ch’uan and Bagua Zhang programs. Learn more about our Qigong.